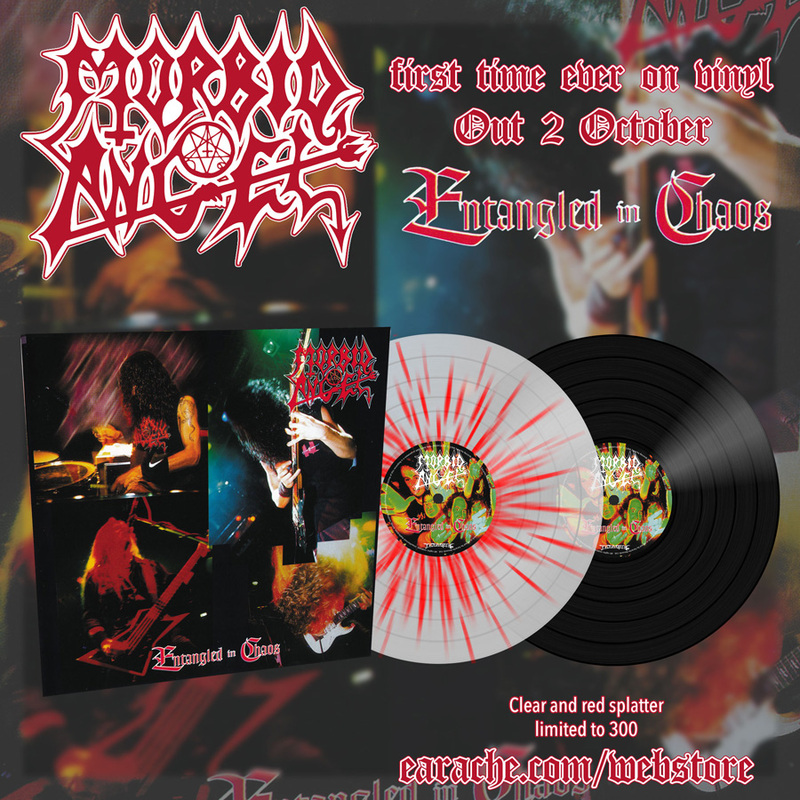 Earache have announced the release of ‘Entangled in Chaos’, the classic live album from extreme metal legends Morbid Angel, on vinyl for the first time ever. ‘Entangled in Chaos’ is part of Earache’s “First Time On Vinyl” campaign, which looks back at some of the label’s classic albums which have never before been released on vinyl. Originally released in 1996, ‘Entangled in Chaos’ was Morbid Angel’s fifth official record and the band’s first live release. The album is available to order on black or clear and red splatter vinyl, which is limited to just 300 copies. A special “Black Series” is also available, featuring a rare black and white album sleeve and limited to just 100 copies.